All events at Camp Caravan unless otherwise noted. Are you seeking a Work mentorship or group opportunity? Contact us at registrar@campcaravan.org for ongoing group information or to make new arrangements. Weekly meetings are on Saturday at Camp Caravan, beginning at 7:30 a.m.
May 11, 7:30 a.m. - 4:00 p.m. First Work Day of the season - all Welcome. Ongoing, Wednesday evenings, Exploring Everyday Mindfulness 7-8:30 p.m., Keene, NH. Contact Martin Brown. April 25 7:30 p.m. CC Book Club reading Gurdjieff's Whim by Keith Buzzell, at the Richardsons. Contact John Richardson. June 1-2 Becoming Human Work Weekend with Jerry Toporovsky, High Falls, NY. Contact Bonnie for more information. Sign up for the Camp Caravan enews. Help prepare the way for a new generation. Donate by using the PayPal button below—whether or not you have a PayPal account. Currently reading "Reflections on Gurdjieff's Whim" by Keith Buzzell. Next meeting - April 25th, 7:00pm. Read chapters 2,3,4. Do you want to conference in? Contact John Richardson. 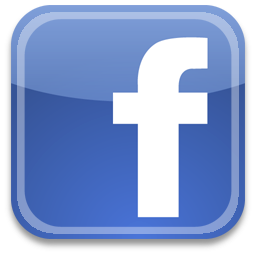 Gurdjieff/Bennett group on Facebookwith select theme talks from J.G Bennett. Welcome to the Camp Caravan website! Camp Caravan is a center for working together with the ideas of G. I. Gurdjieff and J. G. Bennett and the "Fourth Way" approach. We aim to build a new world—starting with ourselves—and invite your participation and interest. Do you have many years of Work experience or are you completely new to these ideas? If you wish to experience a more vivid presence within yourself, with others, and with a higher reality, we welcome you. We envision Camp Caravan an educational campus for all ages and all kinds of learning, inner and outer. The Village School is our vibrant, nature-based independent school serving children Pre-K through sixth grade since 1989. We broke ground for the new school building in the spring of 2017 with the aim of moving onto the Campus in the fall of 2018. We thank you for helping to make this a reality. Thomas de Hartmann collaborated with G.I. Gurdjieff to create the Movements music and the sacred music for solo piano. Less known is his extraordinary body of classical music. Under the umbrella of the education mission of the MREC, this Project aims to bring that music back to public awareness. Read more. The school's mission is to create an educational model for children in rural areas, based on the principle that a direct connection to nature can be a lifeline for children, connecting them to their essential selves and awakening a sense of meaning in their lives. The school serves children pre-K through sixth grade. In the late 1800's, Camp Caravan was a large inn, famous for its view of Mt. Monadnock. After the inn burned to the ground in 1906, it was rebuilt as a high school for girls, run by the Lemon family. Founded by Ed McCarty in 1947, for forty years, Camp Caravan was the site of a remarkable summer camp and community for children with special needs. The camp closed in 1985 and was derelict until purchased by Millers River Educational Cooperative (MREC) in 1998.